Hi, WWW shoppers… Raise your hand if you’re a fellow shoe addict. Welcome to the club, if you’re reading this, you're likely curious to find out the shapes and silhouettes that will be trending throughout the next trip around the sun as you prep your wardrobe for the New Year. 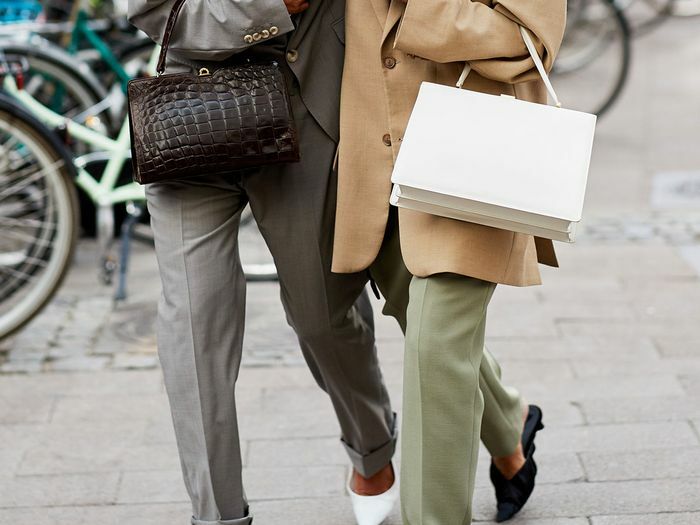 To ensure you’re set with the top designs and brands, we’re looking to Net-a-Porter’s epic trend guide to set the tone for 2019. Each season, the luxury e-commerce site shares its expert predictions on which items consumers will flock to, purchase, and wear. It’s essentially a master class in what will be cool for the next six to 12 months. So when a trend or brand is featured in this holy grail of information, we listen and take note. As the headline of the story states, today we’re focusing on shoes and uncovering the styles that are set to be the most popular in the upcoming year. If you have a thing for heeled sandals, you’ll find the updated version with vintage-inspired details below, or if you’re the type to only wear flats, ahead you’ll see the new iteration of “sporty” sandals. Enough with the words—scroll down to shop the top four shoe trends of 2019. We’ve also called out this super-dainty shoe style as a trend to try. Our market editor Nicole agrees and called “floss-like” sandals a must-have. Or as the majority of Americans call the shoe style, flip-flops. Whether you’re frightened or delighted by this news, doesn’t matter, because brands like Staud and Tibi made flops fashionable for the upcoming season. Shop our thong sandal picks below. Cue the kitten heels and crossover straps. Silhouettes like skinny wedge sandals and elegant pumps provide an updated spin on throwback styles. It’s all about reminiscing and restocking for this shoe trend. Shop our vintage-inspired picks below. A category and trend we see bubble up every season with new polished details and interesting features. For 2019, you can look to the brands that design platforms best, like Saint Laurent, Gucci, and Miu Miu (to name a few). Shop our platform picks below.